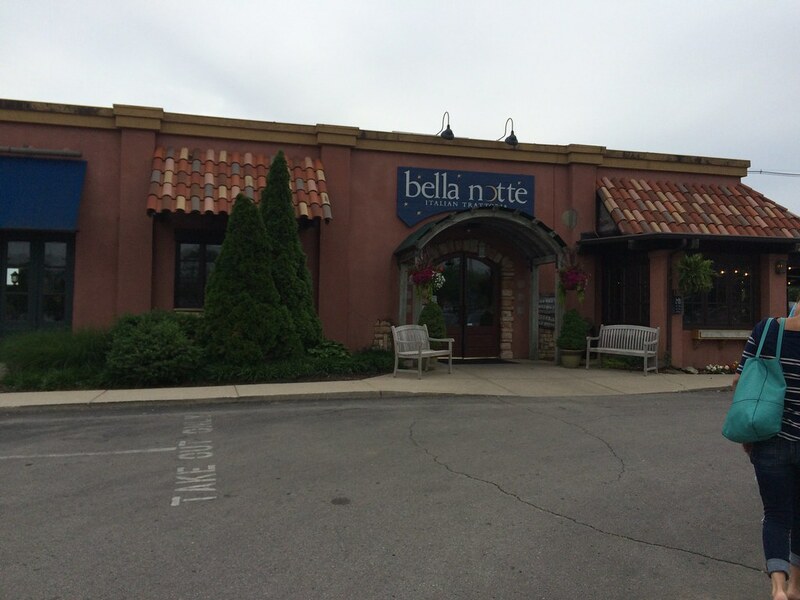 Bella Notte is located near a mall with beautiful shrubbery and accents, paired with a perfectly branded and beautiful building dressed to the nines with a traditional rustic vibe ... which made me think it was a chain restaurant. I panicked for the first 10 minutes of arriving for fear that I just wasted a dinner in Lexington on a chain restaurant before I asked our server. After she said they are not a chain, I let out a sigh of relief and realized how impressive it was to have such a cohesive, polished image. 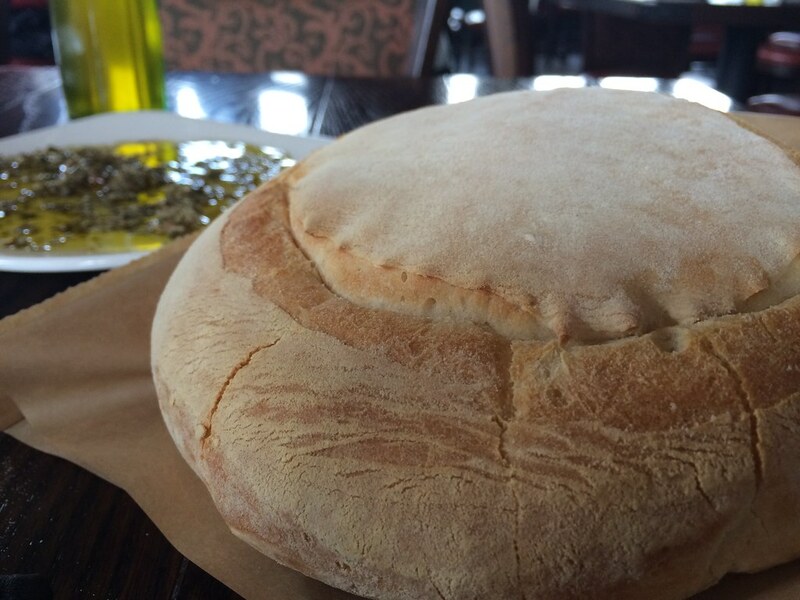 We were seated and delivered fresh-baked, warm bread with an oil and herb mixture made right in front of us. This was delicious. 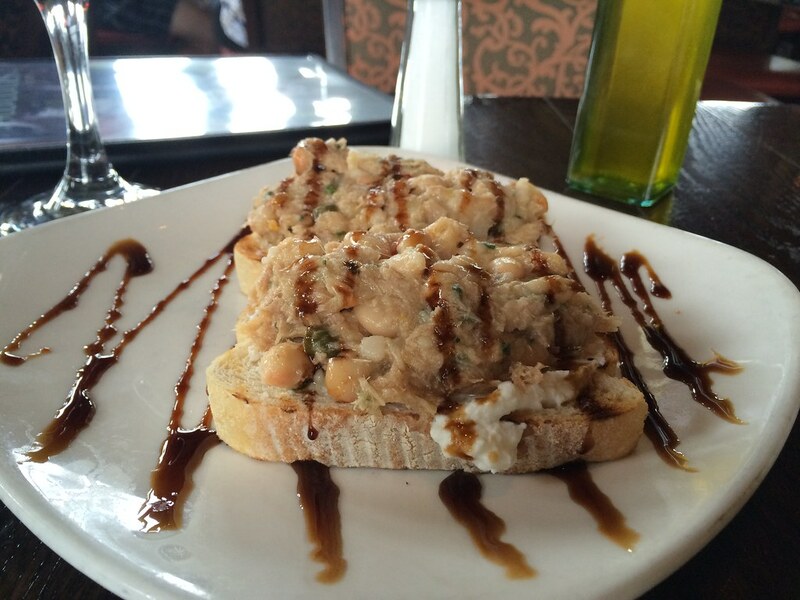 Vicki ordered an appetizer of a tuna bruschetta. It was on their seasonal menu - and it wasn't bad, but not my favorite. Fresh slivers of tuna steak would have been fresher and tastier. We split two entrees because we couldn't decide: the penne gorgonzola with sundried tomatoes, grilled chicken, bacon and a creamy gorgonzola sauce and the veal saltimbocca with fresh sage leaves, award winning La Quercia prosciutto, wood fire grilled and served with creamy parmesan orzo pasta, grilled asparagus and roma tomatoes. They noted on their menu that their veal comes from a local farm that has free-range calves, who are never penned and allowed to roam free with a completely natural diet of only fresh mothers milk an no artificial ingredients or fillers. 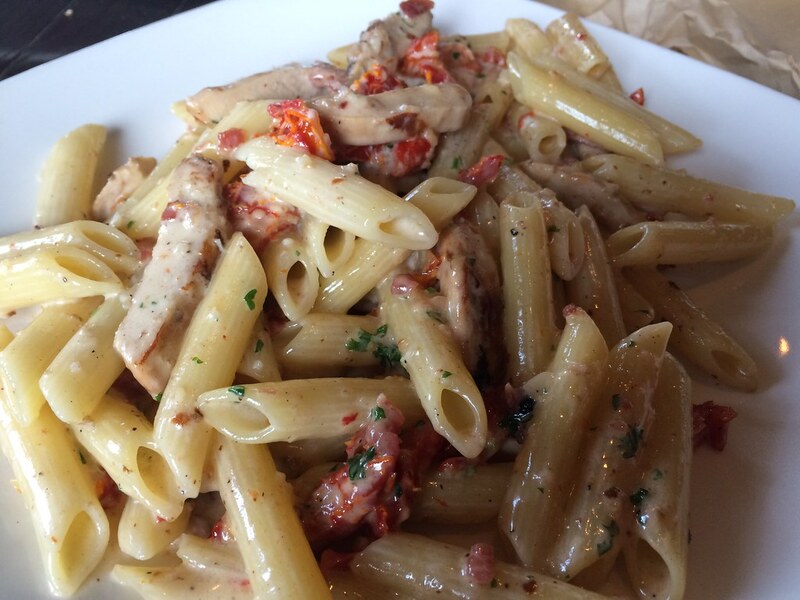 The penne gorgonzola dish I knew I'd love. It has me written all over it. It was rich, creamy, indulgent. The very smart thing, though, is the sundried tomatoes. This is sundried tomatoes used well. The flavor is often concentrated and kind of intense because it's so salty - but that pairs perfectly with the fatty richness of the dish. Beautiful. The saltimbocca was more of a gamble since I hadn't had it before. 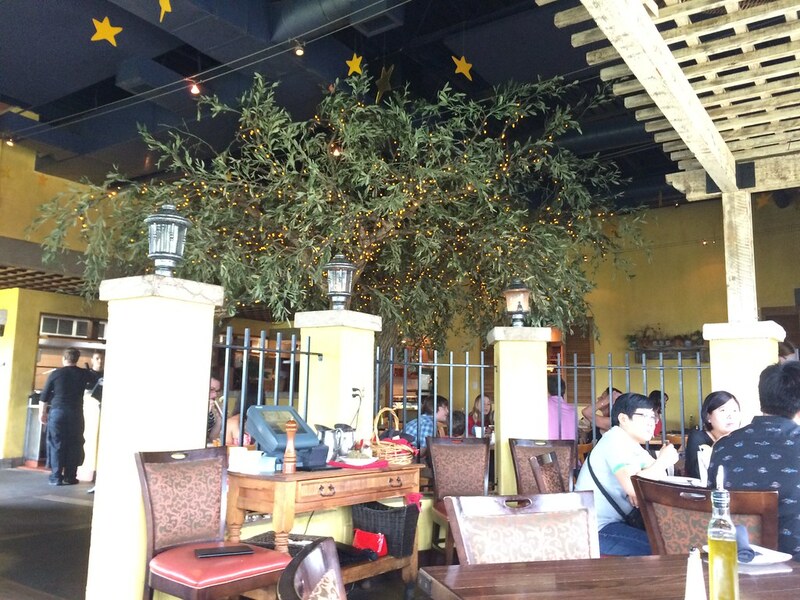 The sage was prominent and tasty. 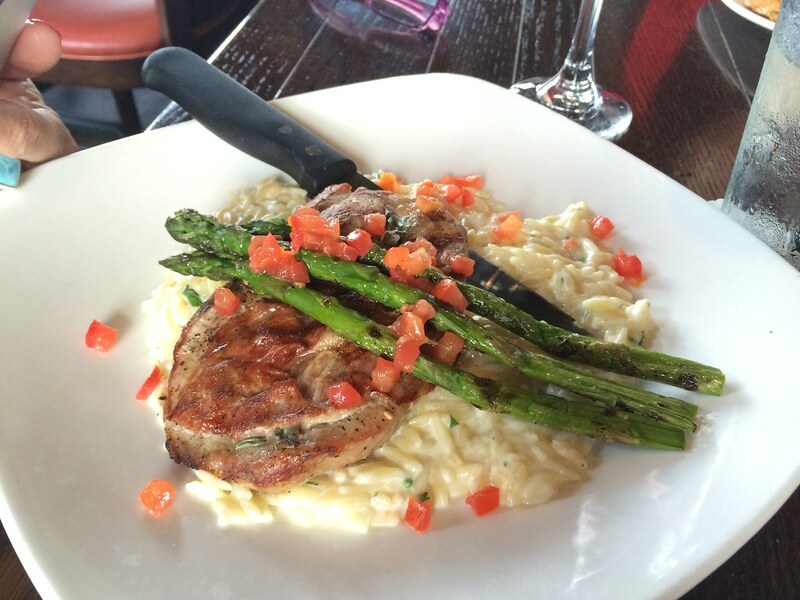 The veal was delicious, and the cheesy orzo underneath added that creamy component to this entree. I liked the gorgonzola pasta dish better, but this was also delicious. Home run, on all accounts.